This week I saw a fascinating (by a lawyer’s definition of the word) news item: Lagunitas sued Sierra Nevada for trademark infringement. 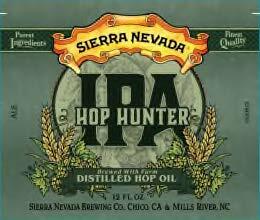 The case, which only lasted a few days before it was dropped, was based on the manner in which Sierra Nevada’s use of the letters I, P and A. Lagunitas was not claiming trademark rights in those letters – in fact, their trademark filing specifically disclaims ownership of the term “IPA” except in the filed logo design – but in the style in which they were rendered: large type, all caps, in a serif font with an overlap in the kerning. Now, I can’t say whether Lagunitas would have won if the lawsuit had played out to the end. To some people, their complaint might look silly, and whether any consumers would confuse the Sierra Nevada beer for a Lagunitas product is an open question, but cases have been won with less (and lost with more). Trademark law deals with words and images that consumers associate with brands and vendors of products. The ultimate goal of trademark law is to prevent confusion. A consumer should be able to look at a product or package and know what company sold it, so that if the consumer wants, for example, Pepsi brand cola, he can buy a bottle labeled Pepsi Cola and be confident that he’s getting the real Pepsi product. If anybody could label an inferior soda “Pepsi Cola” and sell it, the consumer who pays for a preferred product but gets a knockoff would be harmed, while the Pepsi company would also be harmed because on the one hand it’s lost out on business it rightfully earned, and on the other, the consumer’s opinion of Pepsi’s product would be lowered. Similarly, if a company could buy a truckload of expired adjunct lager, stick Weihenstephaner labels on it and pass it off on unsuspecting consumers, they’ve have some very unhappy consumers on their hands as well as a cease and desist letter in strongly worded German. Trademark protection only extends so far. “Cola” and “Beer” are not protectable words. Neither are generic words for styles, such as “Stout” and “IPA” – which is why Lagunitas objected to the style and size Sierra Nevada’s font rather than the letters IPA themselves. If I had a product called Lynn’s Best Adjunct Lager and another company launched Lynn’s Best Oatmeal Stout, I would be be right to complain. But if I tried to sue a competitor for introducing Cantabrigian Lager I wouldn’t have a Starbucks’ chance in Florence of success. What I find interesting about the Lagunitas case is that it was not anything Sierra Nevada did or said that caused Lagunitas to drop the complaint, but rather a public reaction against Lagunitas. We craft beer drinkers see ourselves as a community. We don’t just buy the products: we go to festivals, make special trips to wait in line to meet a brewer and try a new beer, and advocate for products we like because we want to see a successful, happy craft beer community that fosters small companies with interesting new products. I do it myself all the time. * Craft brewers get a lot of good will and free publicity this way, much of it deserved, but it also means that when they act like the competing corporations that they often are and employ tactics typical to the arena of corporate competition – such as trademark enforcement – the community-member customers have a negative reaction to the party that is seen as disrupting the peace of the community. But craft beer, which has traditionally been viewed as small business, is now becoming big business. According to the Colorado-based Brewer’s Association, in 2013 craft beers had a US market share worth $14.3 billion, a 20% year-to-year growth. Sierra Nevada and Lagunitas are both in the top 5 US craft breweries by production, each producing the equivalent of several hundred million bottles of beer per year. Those are big business numbers, so it’s no surprise that trademark enforcement – usually considered a big-business practice – is gaining traction in the craft beer market. For a company to capture a share of that market and make some money it needs to establish a brand name and be recognized and appreciated by consumers. That means trademarks. Establishing a trademark means taking something that was once free from the public sphere and claiming it as one’s own. If I had a brand called Lynn’s Best Lager and established trademark rights in that name, it would necessarily follow that if I wanted to keep my brand ownership meaningful I would have to act against any other brewery that tried to market a Lynn’s Best Lager – or anything similar enough to cause confusion, such as Lynne’s Most Fabulous Porter. Suppose my distant cousin Loretta launched Loretta Lynn’s Coal Mine Best Dark Lager. Now we’ve got a gray area on our hands. Is that too close to my brand name? Is it going to cause confusion among consumers or diminish the value of my brand, and if I think it is, what should I do about it? There’s no one right answer to those question – they’re all judgment calls. Bringing it all together: With the large and increasing number of beer brands and names – I recently read that in a recent year the federal office that approves beer labels had received 29,500 applications in a 12 month period – it is almost inevitable that there will be an increasing number of conflicts. The branding space is getting crowded with word plays, puns on words like hops and rye, caricatures of barley plants and hops cones. While there are some brilliant creative minds at work on these names and labels there are many overlaps in the information the label must convey, only so many label shapes and sizes, and only so many truly unique designs being made each year. As the number of brands and amount of money at stake continues to grow, we’re going to see more trademark conflicts. Eventually, something’s gotta give. My prediction: there will be a stabilization as on the one hand breweries become more careful about avoiding conflicts, and on the other they come to understand that going after the small stuff, such as the font size of an IPA label, is likely to be counterproductive. This post is editorial commentary only, not legal advice. Please do not rely on it (or, frankly, anything you read on the Internet) in your legal decision making, but speak with a lawyer instead. Please email andrew@andrewlynnlaw.com or use the contact forms on this site with any questions. * Off-topic plug: just last month I stumbled on a promising new one called Hermit Thrush when I chanced to look up a hill in Brattleboro, which turned out to be run by a couple of friendly bearded guys making genre-benders with yeast they’d harvested from the air in different places where they’d traveled. That there are people out there doing things like that and finding success is one of the reasons I love being a small business lawyer. Previous Rental law: What fees a landlord may charge, and what to do with the funds. Next The Alice Corp case: What is it?